Congratulations on completing your will! But you’re not done yet – make sure to print and sign your will to make it official. Once you have purchased the plan, the button at the bottom of the preview will change to “Email it”. Need to change your email address? Here’s how. 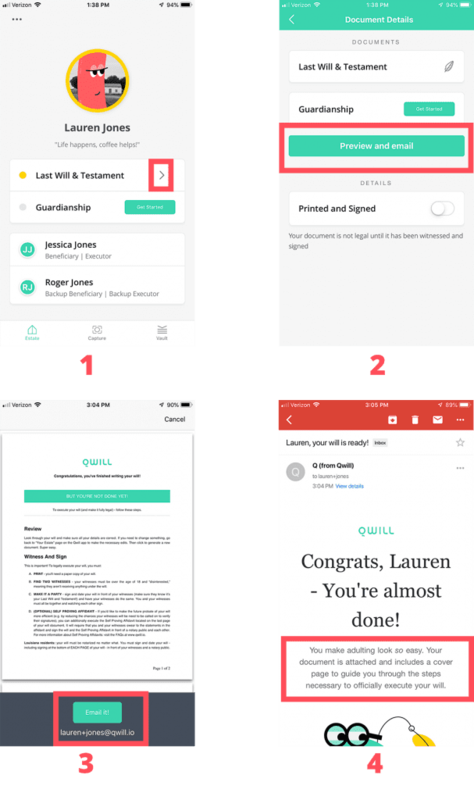 You will receive an email with your will PDF via email. Make sure to print and sign to make it official. See screenshots below for guidance on how to preview and email.